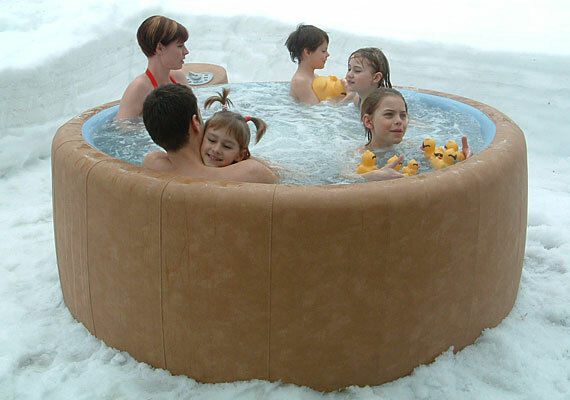 Portable spas,often called a Jacuzzi (which is a brand name), whirlpool,or hot tub (which often denotes a spa made of wood) are vessels of hot water with jets for massaging. 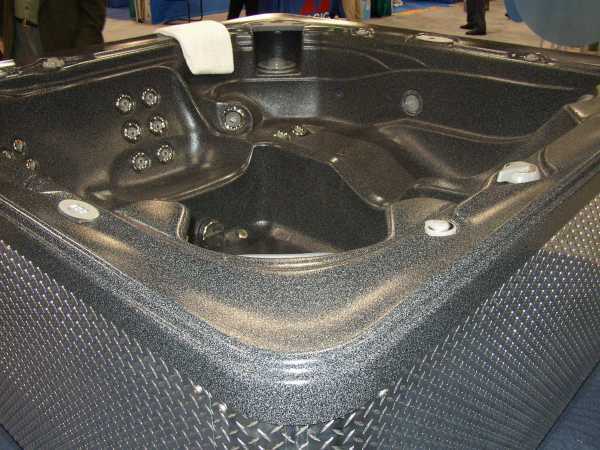 Portable spas can be delivered and plugged in to an existing 115 outlet or wired to 230 and are ready to go,unlike a concrete or wooden hot tub,which needs separate equipment such as filters,heaters,and pumps installed. I have this section divided into two sections - hard shell portable spas made from acrylic or fiberglass material and soft vinyl Softubs.